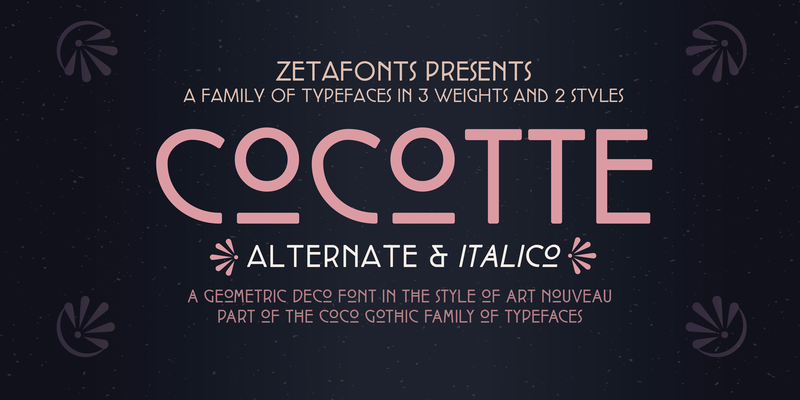 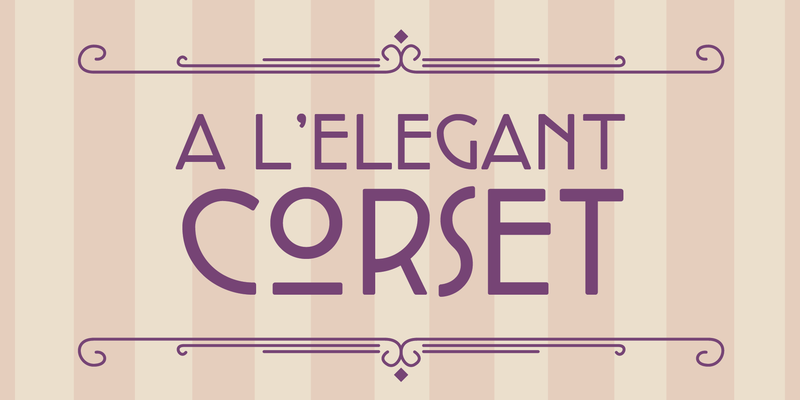 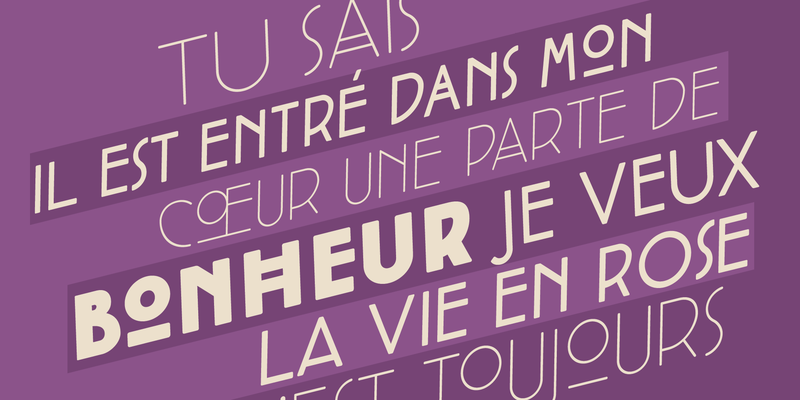 Cocotte is a small caps sans serif display typeface inspired by the graphic style of early art nouveau. 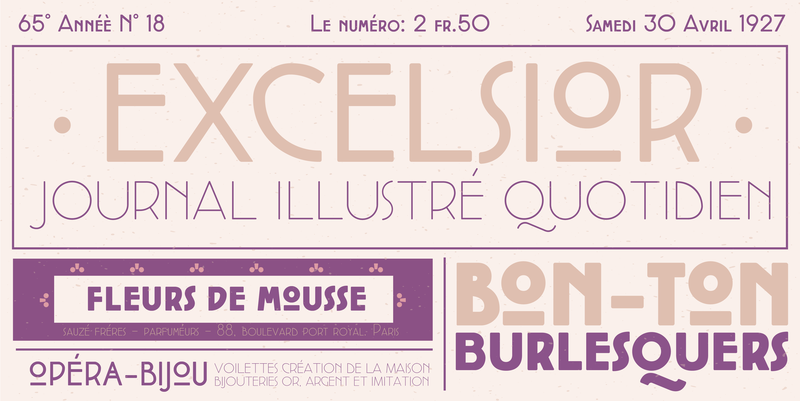 It comes in three weights with matching italics and features a regular style, inspired by arts&crafts and geometric jugendstil, and an alternate style more reminescent of french and italian art nouveau. 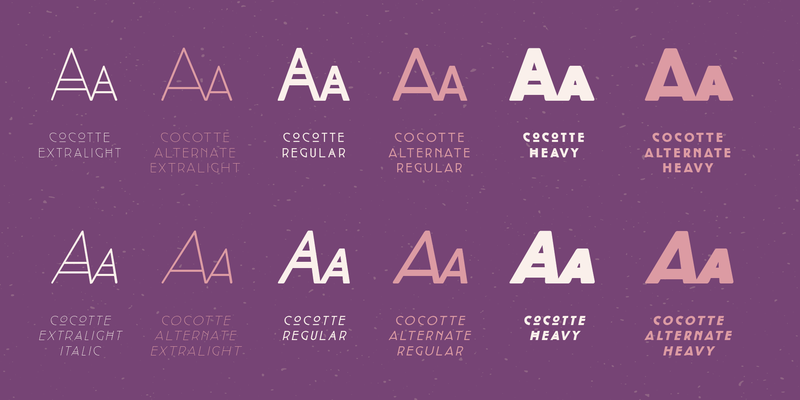 Cocotte and Cocotte Alternates are the 1900 and 1910 versions of the Coco Gothic typeface family, a contemporary geometric sans serif typeface with slightly rounded corners featuring historical versions for each decade of the last century: an encyclopedia of styles ready to transform itself and adapt to the mood of your text. 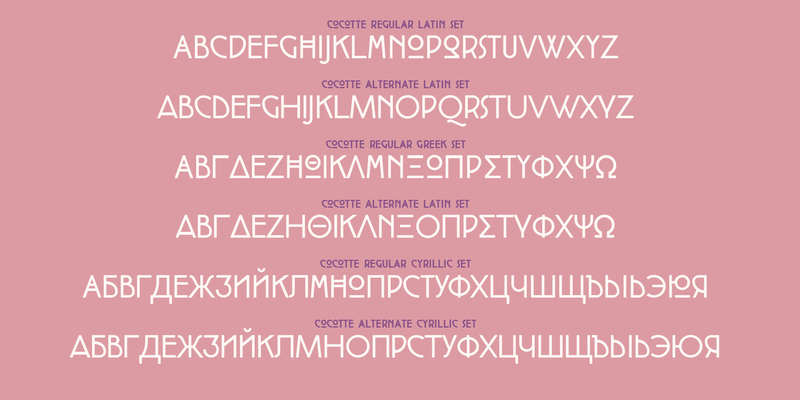 Cocotte features an extended character set with support for over forty European languages and Greek and Cyrillic alphabets.